The CES may be over but were still sifting through the hours of video that Fabi took during his time in Las Vegas. One of the jewels that didn't make our first run was Fabi's hands-on look at the new Toshiba Excite AT200 tablet. Toshiba hasn't had the best of luck with the Android tablet sereies (Anyone remember the Toshiba AC 100? ) 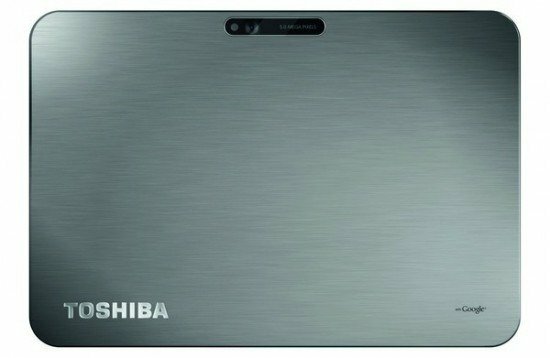 But Toshiba has learned from its mistakes and is preparing to launch the world's thinnest Android tablet. David, the Toshiba expert who was kind enough to give us a look at the new tablet, seems to be so excited about their new tablet, that he can't hold their new Android tablet still, but who can blame him? It certainly is a tablet you can get excited about. ThinkPad Tablet Torture Test– Is Durability The Next Big Thing?